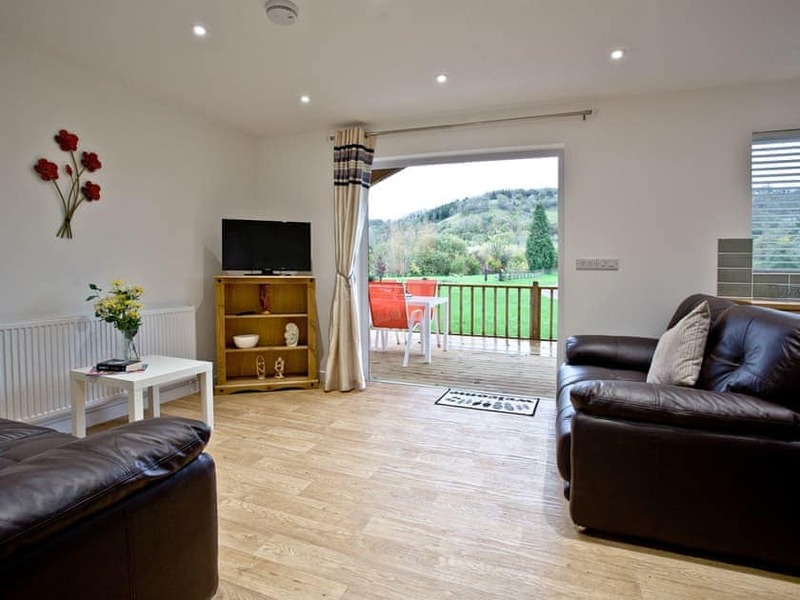 A modern and spacious two bedroom lodge with blissful countryside views and a private hot tub. 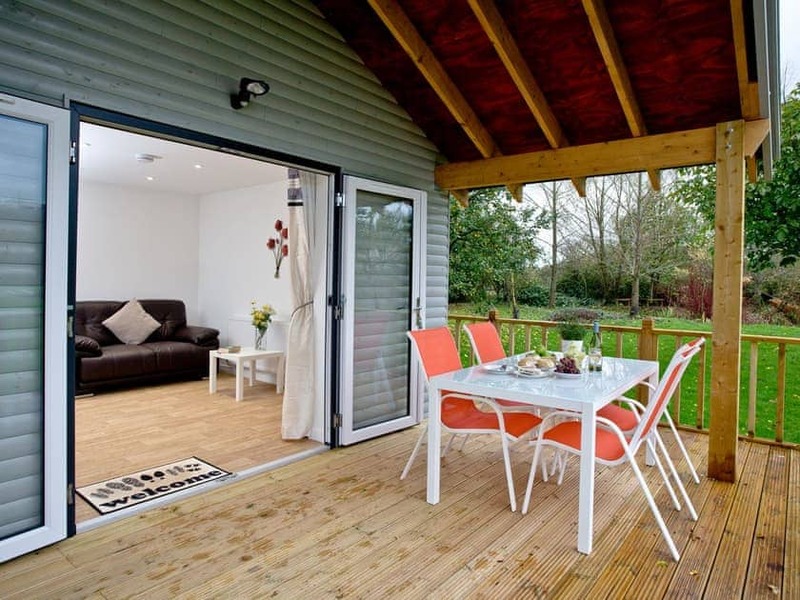 Kingfisher Lodge is a bright, spacious and contemporary two bedroom lodge set on the idyllic Redlake Farm in Somerton. 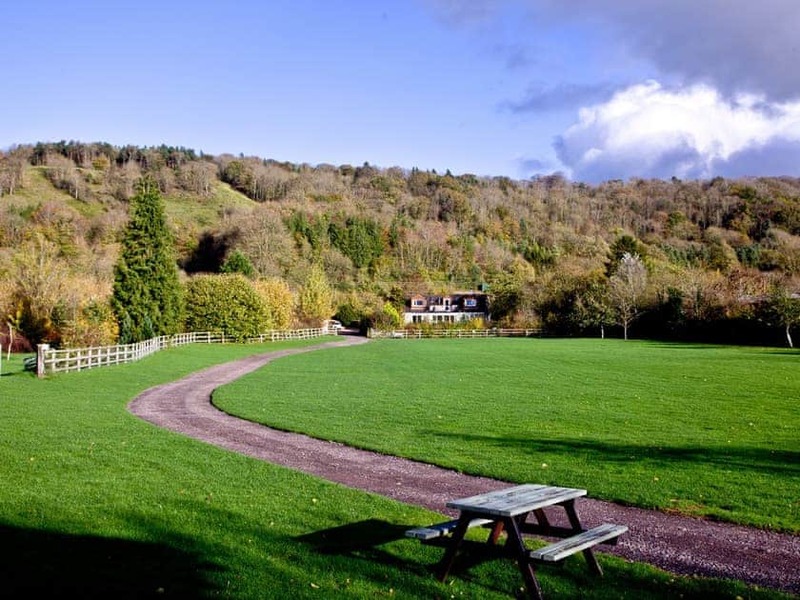 Surrounded by five and a half acres of tranquil Somerset countryside, this is the perfect destination if you want to relax, unwind and get away from it all. 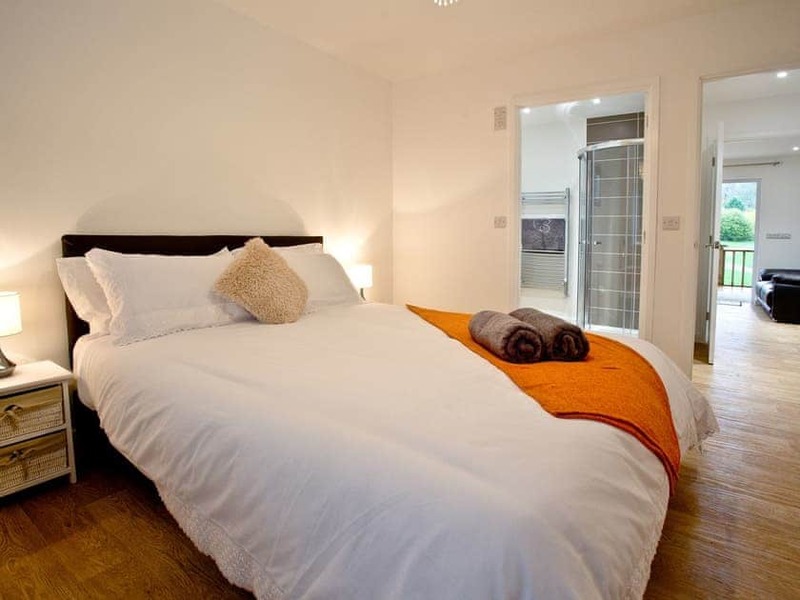 Inside, the lodge has been stylishly finished with modern, quality furnishings. 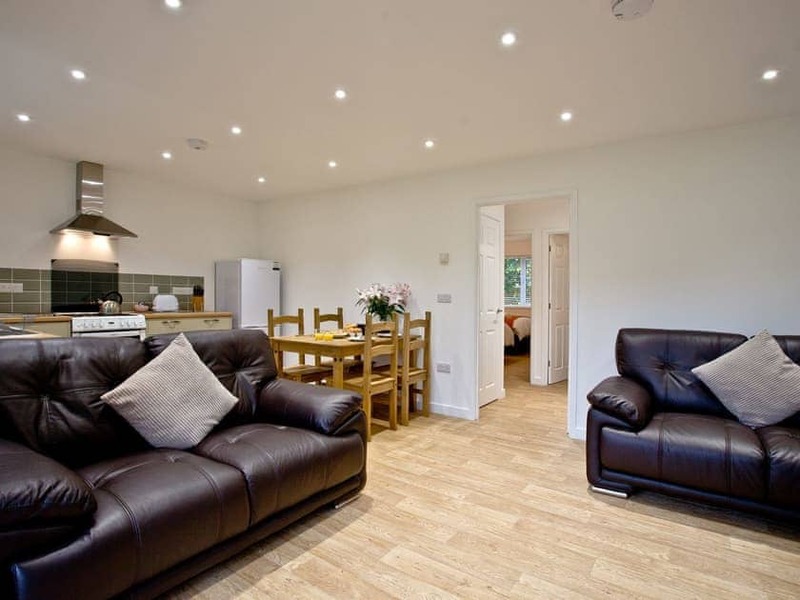 The open plan living area has two leather sofas and a flatscreen TV for those relaxing evenings in, and the kitchen and dining area is equipped with everything you’d need to prepare and enjoy a delicious home cooked meal. 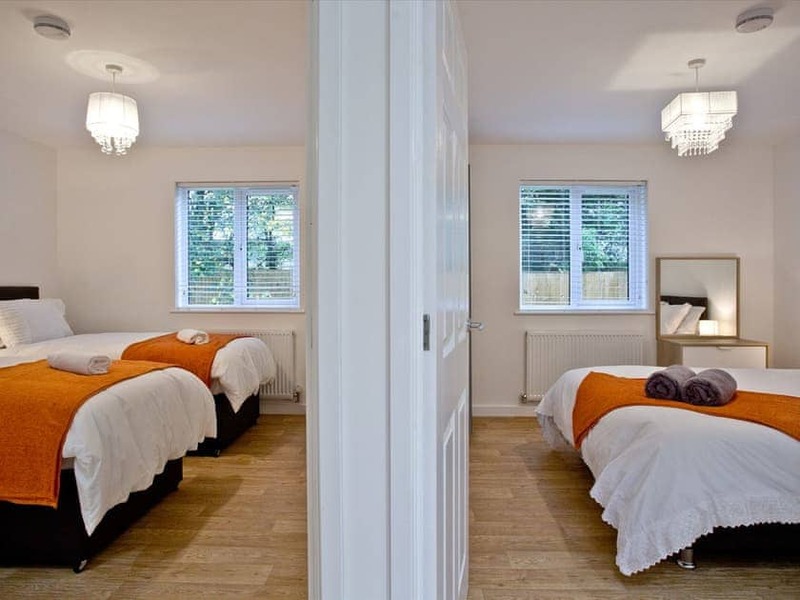 At the end of a busy day exploring the stunning local area, the two bedrooms are wonderful spaces for recharging those batteries. The living area opens out onto your private terrace with blissful views of the surrounding countryside and lake. 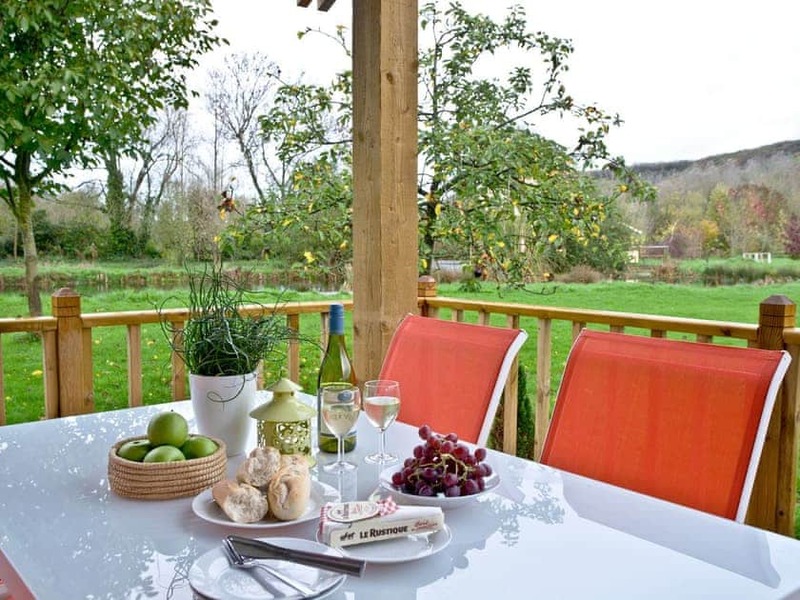 On a sunny day you can enjoy a bite to eat at the patio table and chairs and for a wonderfully relaxing experience, you can take a dip in your own private hot tub. 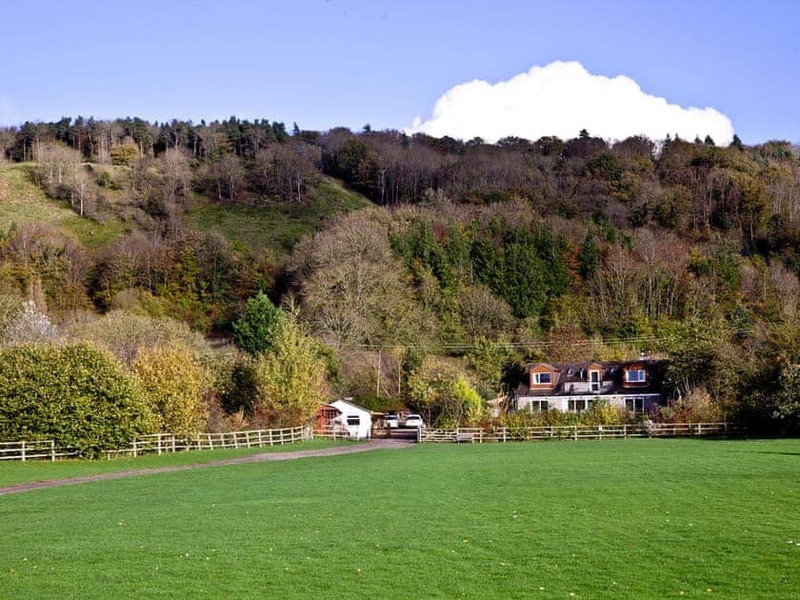 Redlake Farm is set in the perfect position whether you want to relax and unwind or explore more of Somerset. 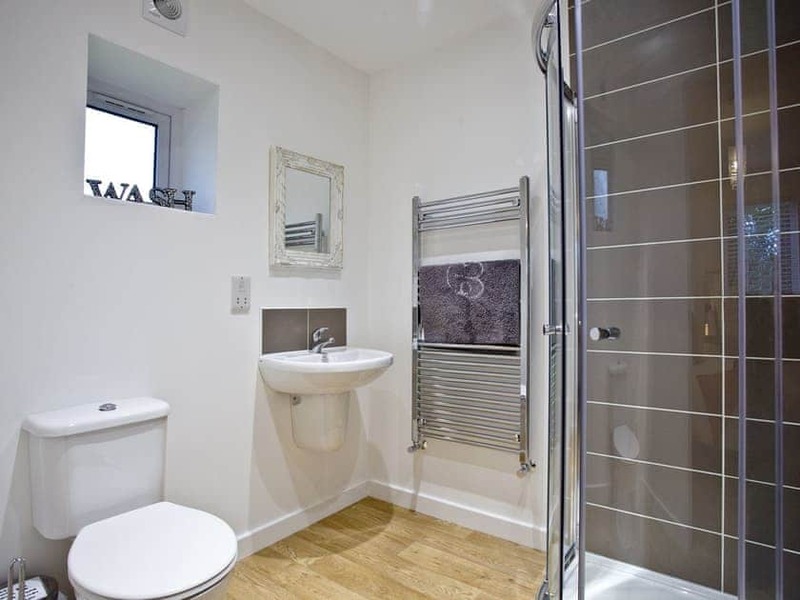 The village of Somerton is nearby with its bustling market and independent cafés and restaurants. 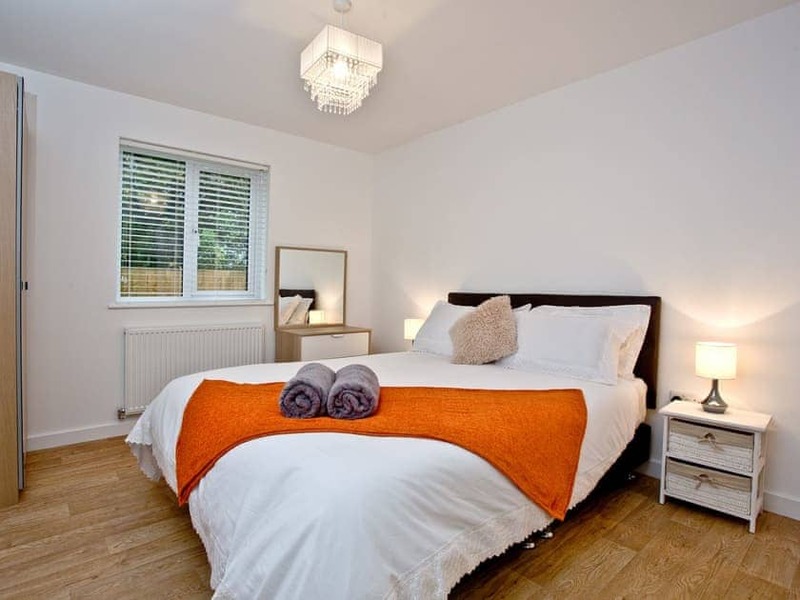 Wells is just a short drive away and is famous for its historic cathedral, and for a little more sightseeing, Cheddar Gorge is within easy reach. Lovely well presented lodges and hot tubs, very peaceful location although a vehicle is a must because your miles from anywhere. They've thought of everything even down to providing you with toilet roll and washing up accessories. I had packed all the little things like coffee, tea, sugar, toilet rolls, dishcloth, washing up liquid etc and found them all there on arrival so great attention to the little things. The only downfall for us was that the mattress was very hard but we do suffer with back pain and it's personal preference at the end of the day (maybe take a mattress topper with you if you suffer with back pain, that's what we'll do when going back). There is a little fishing lake onsite if you like that sort of thing and we were visited by a beautiful peacock who actually sat on the veranda railings whilst he visited. 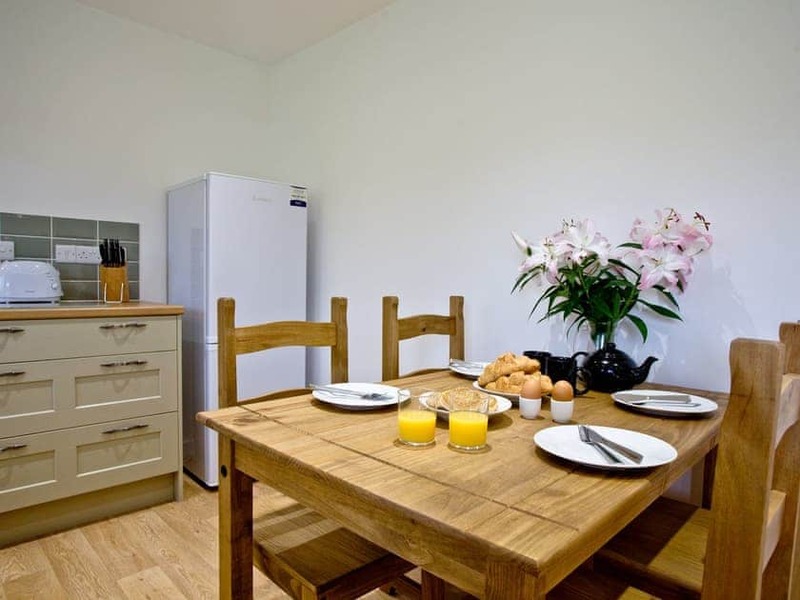 Clarks Village is approx 5 miles away with a variety of shopping and eating venues. All in all a lovely few days away and will most definitely be going back in the future! 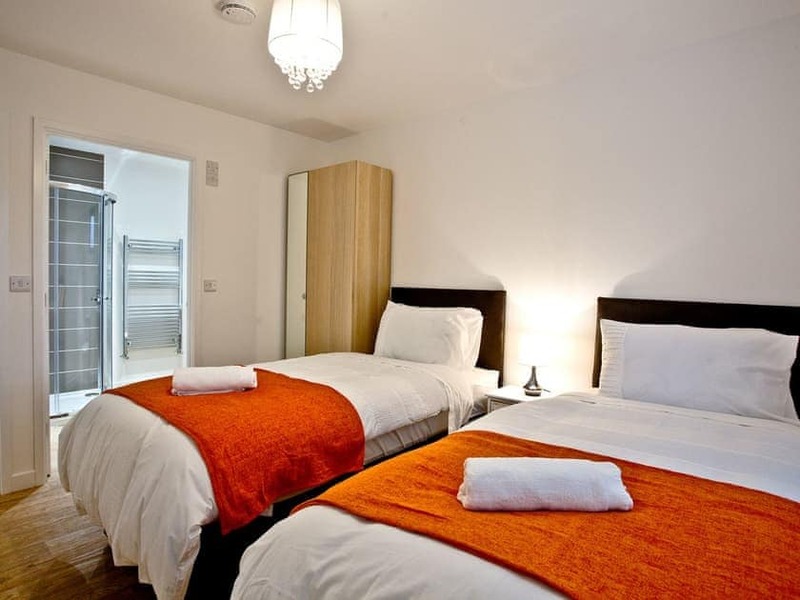 Beautiful accommodation with beautiful views! Everything you could need in the building. Lovely quiet location. Helpful owners, fishing on the lake right outside was an added bonus. Hot tub was an excellent added bonus!! Highly recommend if you’re after a peaceful break away. 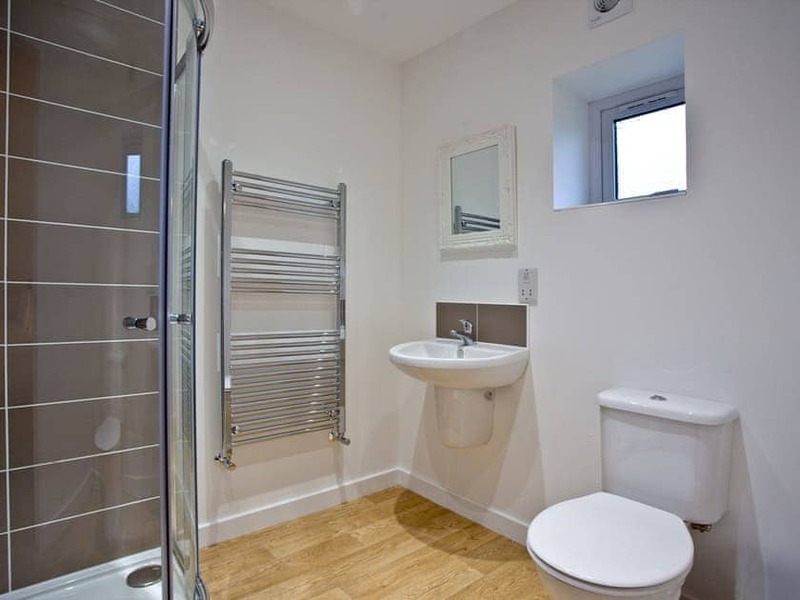 Very comfortable holiday chalet with excellent hot tub. 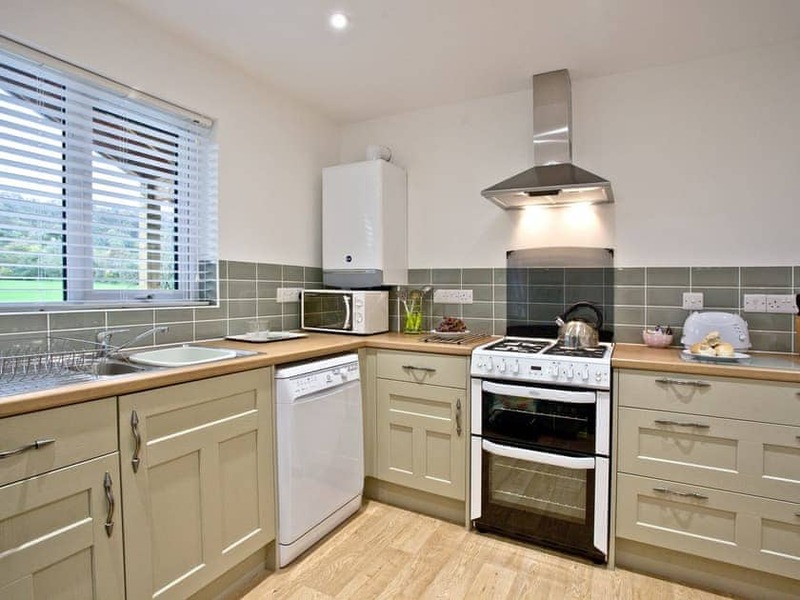 Set in well maintained grounds without overlooking well away from busy main road. Very friendly owners who were available for any assistance needed. Only let down by BT's internet failure - despite owners best efforts to resolve. Would definitely stay here again. Had an absolutely amazing long weekend here, Barry was very helping I didn't get to meet Amanda but seen her out and about. Clyde visited every morning which added to be charm of the place. Lodge itself was clean, warm, comfy (everything you'd want) the hot tub was a massive bonus an was to the right temperature when we arrived so could get in straight away to mellow down. Will deffo be back again. Great lodge very clean and comfortable hot tub is a big positive. We had a fantastic time as usual. This our 3rd visit and we intend on returning next year. We would highly recommend Kingfisher Lodge to anyone looking for a incredibly comforting, welcoming, homely and relaxing break. 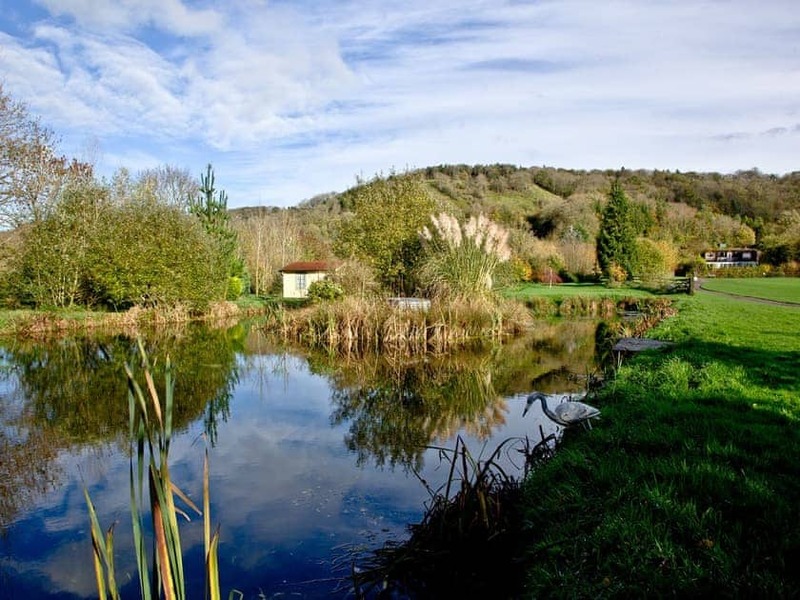 Leave the rest of the world behind and slow down to the pace of country life with a break at Redlake Farm in Somerset. 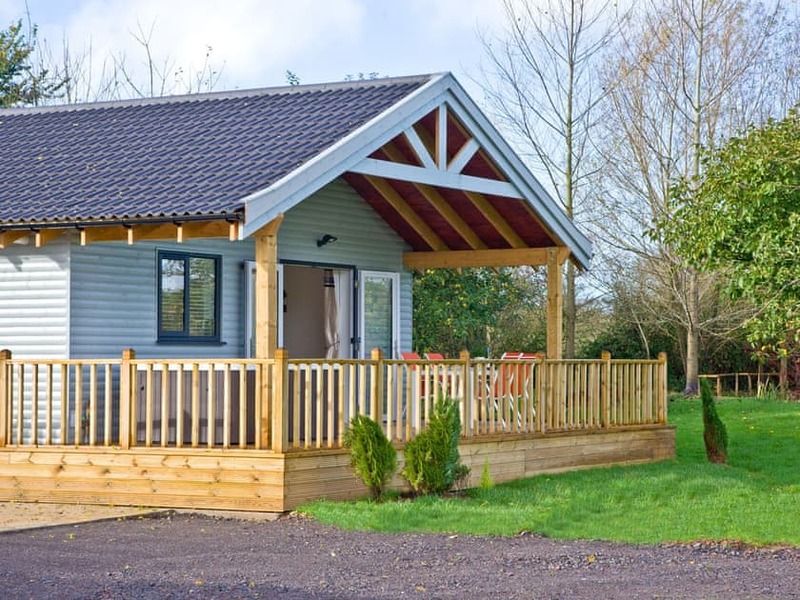 Perfect for those of you keen to escape city life for a few days and enjoy the countryside we all know and love Somerset for, our Redlake Farm lodges are stylish homes from home surrounded by five blissful acres of land. Even when you’re enjoying some time out in your contemporary lodge, you’ll be able to make the most of the scenery thanks to doors that open out from the living space onto the decked terrace, so you’ll never be more than a moment away from the sounds of the countryside and a breath of fresh air. 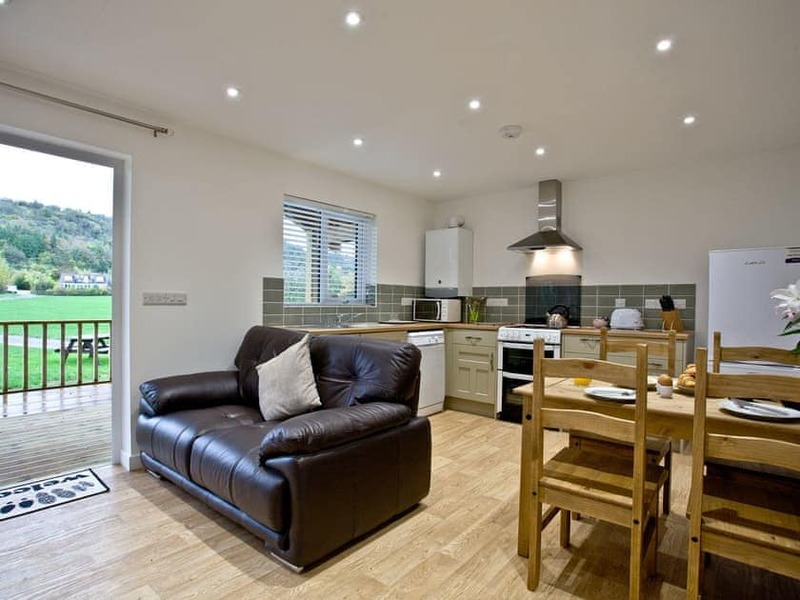 Now, with your own welcoming hot tub on your terrace you’ll be tempted to stay close to your lodge throughout your time at Redlake Farm, but you’ll find Clarks Shopping Village just 4 miles away, as well as Strode Theatre and the Shoe Museum. Closer still you’ll find Wheathill Golf Course if you fancy enjoying a few rounds, and the famous Cheddar Gorge is less than 20 miles away. Glastonbury circular walk is lovely. The Tor takes around 20 mins to climb, after the descent the walk is easy going. Clarkâ’s village is local and a fab shopping day. There is a nice childrenâ’s adventure playground on site and a open air pool opposite should children need entertaining. Wells is a short drive and the cathedral and bishops palace are worth a visit. Visitors are not allowed on site, for those wishing to meet up with people be prepared to meet locally. We have stayed here twice now, love it. 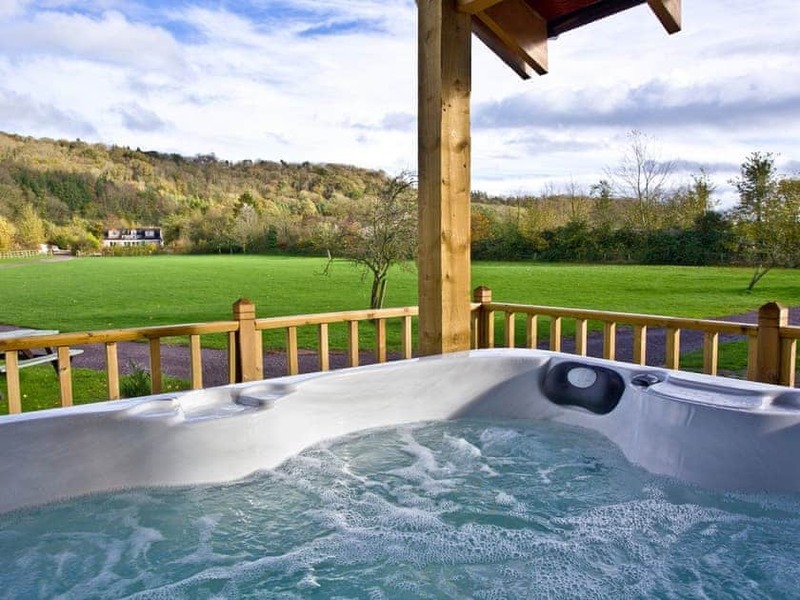 This beautiful lodge is perfect for an escape for two, complete with a bubbling hot tub.